We would like to share a report from Jackson Healthcare that we found very valuable. 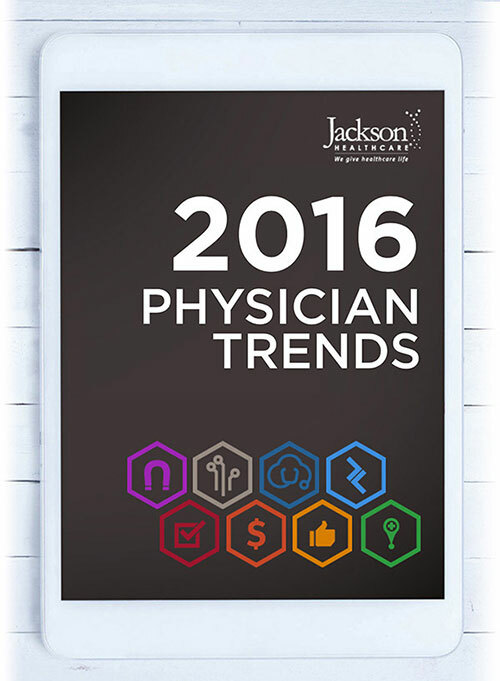 This report collects data, surveys and commentary on U.S. physicians. It includes data on supply and demand, regulatory impacts, compensation and reimbursement, job outlook and satisfaction for physicians, practice environment and employment. When you read the report click the view to read in fullscreen mode. To exit fullscreen, simply hit your esc key on your keyboard.